It's that October evening when you find out how/if your salary/pension/rent/ children's allowance will be impacted in 2019. 8.37pm: It's not over yet. The Prime Minister and the Opposition leader will now hold their press conferences. Tomorrow's print edition of Times of Malta will carry a 12-page supplement detailing the salient parts of the budget. We've got an online poll going and we'd like to know what you think in the comments section below. 8.41pm: Wrapping up his speech more than two hours later, Minister Scicluna outlines this Budget's "achievements". 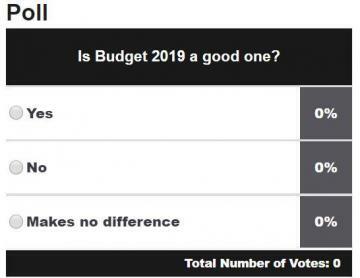 He says it is the second Budget with no new taxes, the third one with a surplus, the fourth budget with an increase in pensions, the fifth budget offering in-work benefits and the sixth budget offering citizens free childcare and the seventh budget with a reduction in taxes... Cue: his his colleagues indulge in a frenzy of hurrahs. "We're living through Malta's successes," he wraps up. 8.40pm: The government has continued with its reformist policies by granting 16-year-olds the right to vote, he says. 8.36pm: All students will have free access to sites administered by Heritage Malta together with two accompanying adults, the minister announces. 8.30pm: Minister says the government has continued to invest in health centres and will be focusing on the north of Malta over the coming year. 8.24pm: No new taxes have been announced and the minister is still reading his speech but not everybody is happy - that includes the teachers' union and environmentalists who believe it doesn't tackle the immediate problems. The Malta Employers' Association says the Budget is a reflection of robust economic performance but a longer term vision is required. "Perhaps the budget should have projected a more concrete vision for a sustainable economy over a number of years," they say, warning of the risk of a wage price spiral and increased inflation. 8.22pm: In the education sector, mid-year exams will be removed, and continuous assessment introduced. Students will no longer pay to sit for MATSEC exams. 8.15pm: As the minister tries to read the Budget speech, there seems to be ample laughter and banter in the House. Nobody's let us in on the joke. 8.08pm: Minister turns his attention on Gozo. Gozitans travelling to work in Malta will benefit from new allowances, including a new grant of €1.50 per day for government workers who come to Malta and use collective transport to get around. Prof. Scicluna says the government is still committed to build an underwater tunnel between Malta and Gozo. Gozitan patients who still need to travel to Malta for treatment will be have their travel reimbursement extended to adults accompanying patients to Malta. 8.03pm Paceville revellers, Big Brother is watching you. Hot spots in the entertainment town will be equipped with AI-powered CCTV cameras, which will be able to pick out a face from a crowd. The ‘safe city’ technology – a Huawei product - will be focused on criminal areas in the town, the Finance Minister said. Marsa is probably next in line, he adds. 8pm Smuggling into and out of the Grand Harbour might become a tougher task once a €5 million scanner is introduced, as the Finance Minister has just pledged. The Freeport already has such a machine, and authorities want to replicate that system at the Grand Harbour. 7.58pm During last year’s budget, Prof. Scicluna had pledged stricter fines for litter louts. We haven’t heard much about that since then, and this year the Finance Minister limits talk of public cleanliness to promises to improve coordination in the cleaning of public spaces. 7.54pm More people means we need bigger beaches, of course. And undeterred by complications at Balluta Bay, the government will be looking at enlarging a number of other beaches. Among them: Rinella bay, Fajtata in Marsascala, and Birżebbuġa’s St George’s Bay. 7.51pm Prof. Scicluna is optimistic about Air Malta's business prospects. New routes will bring an additional 250,000 tourists to Malta, he says. 7.49pm Former Environment Minister George Pullicino weighs in on the Budget debate, saying the government's decision to look towards waste-to-energy technologies is the "mother of all U-turns". 7.48pm SMEs with business in the UK will get help to navigate Brexit, thanks to a Malta Enterprise business advistory, the Finance Minister says. “We’re having several meetings to attract Brexit business to our shores,” he adds. 7.45pm The government is keen to develop the fintech sector and help start-ups in that field, the Finance Minister says. And with blockchain regulation just weeks away from coming into effect, the government is now looking to introduce laws for other disruptive technologies, such as Artificial Intelligence and the Internet of Things. Not sure what that is? Think fridges which order milk for you and doorbells that know when nobody’s home. 7.40pm It’s kicking off now. 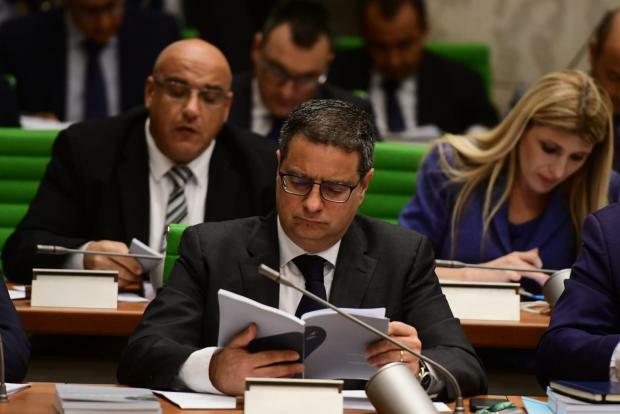 Opposition MPs’ murmurs verge on heckling as Prof. Scicluna lists the government’s anti-money laundering work. “They must be shell-shocked,” the Finance Minister quips. 7.38pm Prof. Scicluna adopts his sternest voice as he chastises tax-dodging..ahem... tax avoiding firms. 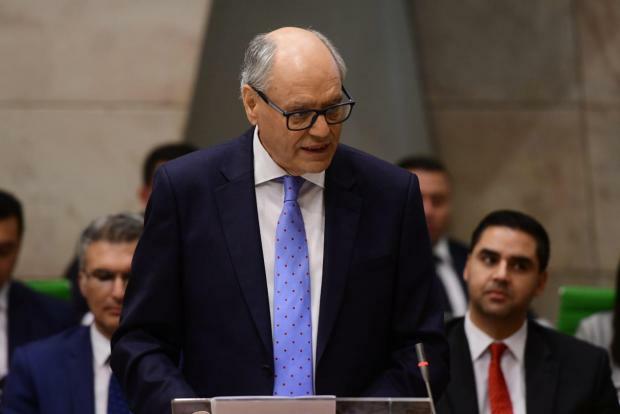 He highlights the government’s willingness to cooperate with other jurisdictions on tax-related matters, and notes how Malta was among the first countries to sign up to the OECD’s Base Erosion Profit Shifting programme. In a nutshell, BEPS is a set of agreed-upon tax rules to ensure countries' tax bases are protected from companies which seek to 'shift' profits from high-tax jurisdictions to lower-tax ones. 7.32pm Just checking in now? Here’s what Budget 2019 has in store for wage earners and parents, people living in rental properties and pensioners. 7.30pm Minister Scicluna runs through a checklist of the government’s environmental policies. Management of Natura 2000 sites, check. Investing in national parks and caring for our valleys, check. Noise pollution policy, check. New air pollution monitoring station, check. 7.27pm Onto the environment. The government will begin developing a Multi-Material Recovery Facility, and hopefully that one won’t go up in flames. As for recycling – the government has plans to regulate commercial waste “in a sustainable way”. No more details given. 7.24pm If you're the type to shun buses, perhaps an electric car is more to your liking? They're exempt of all registration taxes for another year - and the scrappage scheme is also being extended. 7.21pm We're onto public transport now. There are plans to improve existing ferry quays in Cospicua and Marsamxett. Perhaps more eye-catching is the decision to extend free bus passes to 14 and 15-year-olds, as well as full-time students aged 20 and over. And there are talks to make the tallinja car free for people with a disability, Prof. Scicluna adds. 7.19pm: €1 million to be allocated for the creation of green areas. Whether there's any space for such areas is another matter. Minister also says there will be more investment in public car parks. 7.17pm: The investment in roads is unprecedented, the minister says, insisting that the problem of traffic needs to be resolved. He says the incentives taken to reduce car use are already showing results. He says €100 will be invested on roads next year... and works will be carried out in the stipulated time. 7.15pm: The government will embark on Public Social Partnerships with NGOs for social housing while the regeneration of housing estates will continue. 7.10pm: A number of initiatives are announced to try tackle the spike in rent prices in the last years. The rent subsidy will be raised to €3,000 for single persons, from €1,600, and up to €5,000 for a family with two children, subject to a number of conditions. Incentives will also be announced for landlords who rent out their properties on long lets below market price. They will receive a substantial discount on capital gains tax due when the property is eventually sold after the rent expires. 7.08pm: Minister says the economic success has sparked the challenge of affordable housing in Malta. He reminds parliament that Malta has one of the highest number of home owners in Europe. 7.05pm: Parents who send their children to independent schools will be able to claim an additional €300 in tax rebates per child. Allowances for carers for the elderly will increase to €140 while allowances for children with a disability will increase by €5 a week. 7.02pm: As Prof. Scicluna shoots out figures and numbers, his fellow MPs are busy tweeting the government's incentives. 7pm: Fancy postponing your retirement? Government is giving public sector workers eligible to retire before 65 to be given the opportunity to postpone their retirement and benefit from increased pension allowances, as is already the case in the private sector. 6.53pm: Pensioners were forgotten for 25 years, the minister says, as he announces an increase in pensions for a fourth year. A total of 92,000 pensioners will get a €4.50/week pension increase. All income from pensions under €13,000 will not be taxed. 6.50pm: All workers will get a €2.33 weekly increase as part of the cost-of-living adjustment next year. Children’s allowance would be raised for the first time in 11 years. For parents earning up to a combined gross total of €20,000 a year, the allowance will increase to €96 per child, benefiting 24,600 children. Adrian Delia following the Budget speech. As was the case this year, the government will next year give tax refunds of between €40 and €68, with those with the lowest income getting the highest amounts. 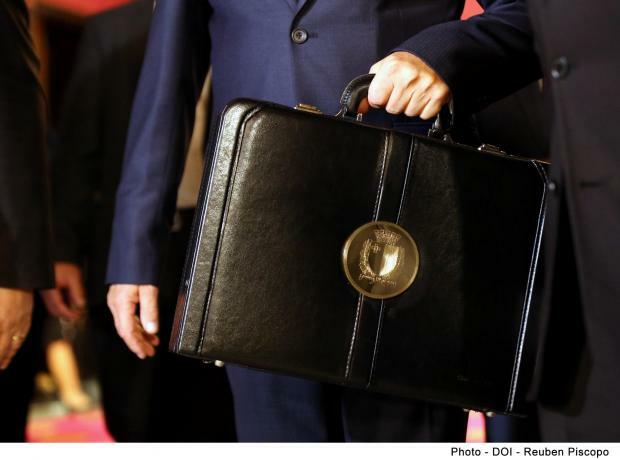 6.40pm: While we bring you a live commentary, Times of Malta will also be uploading separate stories detailing the more important measures taken in the Budget. Minister Scicluna starts his speech. The Finance Minister at the Palace before presenting the 2019 Budget. 6.35pm: Some of the measures are unprecedented and will address the country's immediate needs, the minister tells TVM before entering parliament. 6.20pm: There should be plenty of money in the kitty to deliver some goodies. Malta registered a €392.7 million surplus last year, official figures released on Monday show. 6.15pm: On Sunday, the Prime Minister promised a Budget that "gives rather than takes". In a dig at former Nationalist administrations, he also noted how the Budget was no longer greeted with a sense of apprehension. 6.10pm: Welcome to our live commentary of the 2019 Budget. Prime Minister Joseph Muscat gave editors a sneak peak of the measures on Monday morning but we've been sworn to secrecy about its contents. 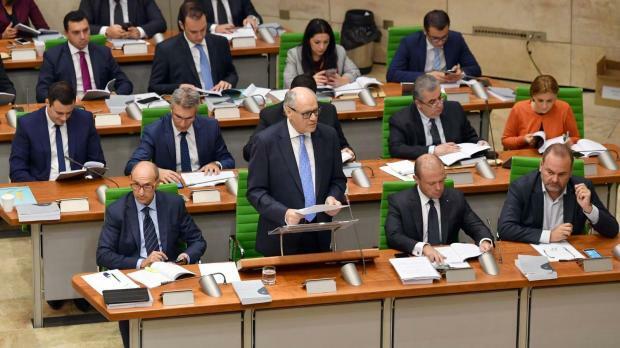 So buckle up and join us on this fiscal ride as Finance Minister Edward Scicluna starts the longest speech of the year... all 97 pages of it.